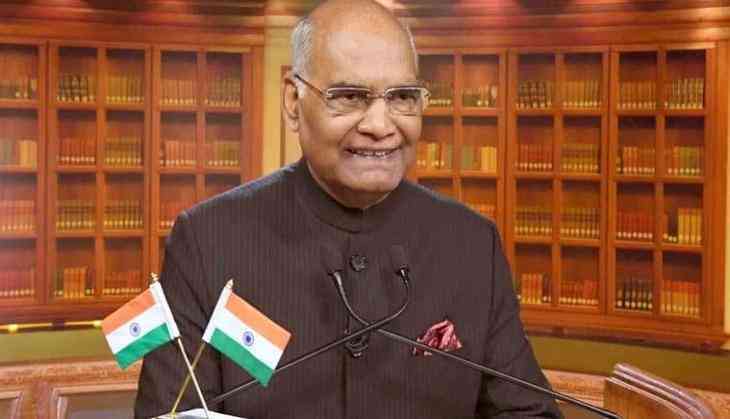 Following the clashes that erupted over the filing of fresh nominations for the panchayat elections in the state, the victims are scheduled to meet President Ram Nath Kovind on Wednesday. On Monday, nearly 30 Bharatiya Janata Party (BJP) workers were attacked after violence erupted in West Bengal's Birbhum district, claiming one life. The clash broke out between the Trinamool Congress (TMC) and BJP supporters during filing of nominations for the panchayat elections. In this regard, West Bengal BJP Vice President Biswapriya Roy Chowdhury said the affected victims will address the matter before President Kovind as well as in the party office, for which they are being brought to New Delhi. Terming the clash an "attack on democracy," Chowdhury said that such a situation was not new to the state. "In West Bengal, democracy is under threat in the reign of the TMC government. This situation has been prevalent in the state for long, but the administration has not taken any action. 30-35 BJP workers have been attacked, who did not go for nominations. We will go to Delhi and present the case before the President and in the party headquarters," he said. Echoing a similar view, the wife of the man who was killed in the clashes alleged that the death of her husband was an attack by the TMC. She further alleged that she was threatened by the ruling party. Incidents of violence were reported from Murshidabad, Malda and South 24 Parganas districts on Monday. Earlier in the month, six policemen were injured when the BJP and TMC workers engaged in a clash that broke out at Usti in South 24 Parganas district over the filing of nominations. On a related note, the panchayat polls in West Bengal will take place between May 1 to May 7 and the counting will take place on May 8.